Henry Stafford was born on 18th September 1501 in Penshurst, Kent to Edward Stafford, 3rd Duke of Buckingham and Eleanor Percy. On 16th February 1519 Stafford married Ursula Pole, daughter of Margaret Pole, Countess of Salisbury and Sir Richard Pole. The marriage had been arranged by Stafford’s father the Duke of Buckingham after it was suggested by Cardinal Wolsey. Ursula brought a dowry of 3,000 marks which would be increased by a thousand if her mother was able to gain back family land from King Henry VIII. 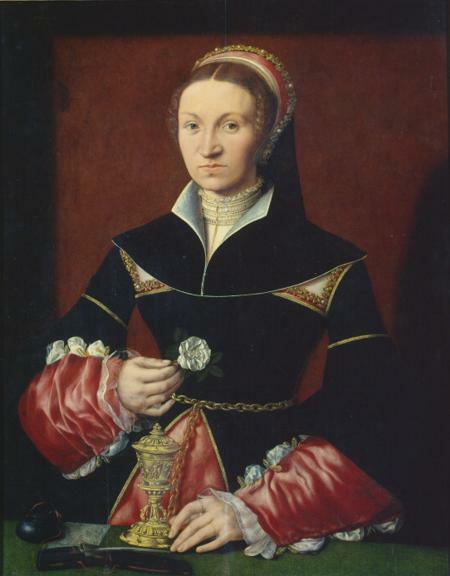 Ursula’s mother, Margaret Pole, managed to secure them lands worth 700 marks and in return Edward Stafford kept lands worth £500 for Ursula’s jointure, in the event of her husband’s death. Henry Stafford and his new wife lived in the household of his father as due to their young age they were required to have a guardian. In November 1520 the couple had their first child, named Henry, who died in infancy. In 1521 Henry’s father was arrested and beheaded after being accused of treason, he was posthumously attainted by an Act of Parliament in 1523 which meant that his titles and lands were forfeited to the crown leaving Henry and his family with no support. Until the Attainder against his father, Henry had been known as the Earl of Stafford. It is believed that Henry and Ursula had 14 children during the course of their marriage including Dorothy Stafford who served Queen Elizabeth I as Mistress of the Robes. In 1547 Henry petitioned Parliament for the restoration in blood but did not ask for his father’s lands and titles to be returned to him. Instead in 1548 he was summoned to appear in front of Parliament and it was here that he was created 1st Baron Stafford by King Edward VI. It was the fourth time Baron Stafford had been created but because it had been viewed as a new creation he was the first in this line. Henry in February 1558 won the right for the title to have been recognised as a continuation from 1299, giving the title its history. In 1531 Staffordshire elected him as a recorder for the borough and he was later appointed as Justice of Peace for Staffordshire and Shropshire in 1536. Henry was also the Lord Lieutenant of Staffordshire between 1558 and 1559 a role that included Clerk of the Peace. In 1548 Henry published an English translation of the 1534 tract by Edward Foxe entitled ‘The True Dyfferens Between the Royall Power and the Ecclesiasticall Power’. During the reign of Queen Mary I he converted back to Catholicism and translated two tracts by Erasmus against Luther. His personal library included over 300 books many of which were in Latin. 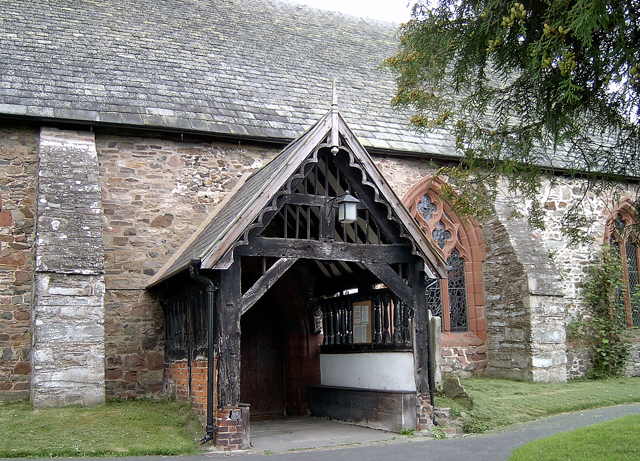 Henry died on 30th April 1563 at Caus Castle in Shropshire. He was buried in Worthen Church on 6th May. Philippa Gregory has a real talent for bringing alive the characters of her stories. Those who lived and breathed during the Wars of the Roses over 500 years ago are brought to life on the pages of her books. The King’s Curse is no different as we follow Margaret Pole through 40 years of her life. 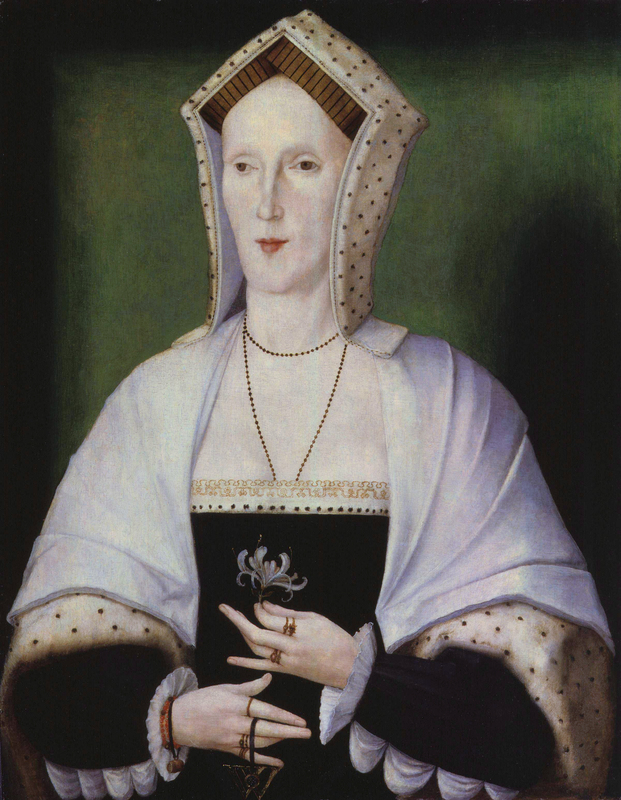 Margaret Pole, Plantagenet by birth and niece to King Edward IV and King Richard III is now living in the Tudor court. Her brother, Edward, is locked away in the Tower of London his only crime is being the true Plantagenet heir to the throne. We are first introduced to Margaret in The King’s Curse after her brother has been executed on the orders of Henry VII at the request of the Spanish monarchs before they send their daughter, Katherine of Aragon, to England for marriage to the King’s oldest son, Arthur. Margaret is head of the household at Ludlow Castle serving Prince Arthur and his new bride Katherine. We see through her eyes the developing love between the newlyweds and the heart break when Arthur dies just months later. Margaret is sent home to her husband, an arranged marriage at the hands of Henry VII in order to bury the Plantagenet name and memory of years past. Margaret and her husband struggle with money and to raise their own children and with the death of her husband the family are pushed into poverty. As a reader you really feel for Margaret who has to do anything she can to survive. With Henry VIII taking the throne upon his father’s death he is keen to unite the once warring families, especially as his mother was also a Princess of York. He restores his aunt’s titles and lands to her and welcomes her to court once again running the household of the new Queen, Katherine of Aragon. Margaret is loyal to the new Queen as she was when she was in Ludlow. We stay with Margaret in the service of the Queen for more than a decade where she is witness to the Queen’s many miscarriages and stillbirths along with the birth of the only surviving child a daughter, Mary. With the possibility of any more children born to the Queen we see Henry change from the boy that Margaret knew who was caring and loving to a bitter man who will stop at nothing to get what he wants. This starts with putting aside Queen Katherine in favour of Anne Boleyn and raising his illegitimate son to a Dukedom. Margaret remains loyal to the Queen and her daughter Mary, who she is the governess of. Margaret spends much of her time during this part of the story at her home and court news is relayed to her through hers son. Through this we learn of Henry’s break with Rome and the oath he makes every subject take throughout the country to the King’s new marriage and subsequently the birth of his new daughter, Elizabeth. With the news coming in the form of letters and her sons it does not place Margaret in the centre of the action so we are only told what is needed to be known and the less important details are left out. Whilst at Margaret’s home we get to see the relationship with her family in particularly the strained relationship with her youngest son, Reginald. We are also able to see Margaret’s reactions to the Pilgrimage of the North and how the Pole family remain loyal to the Princess and want to act in her best interest as she is declared illegitimate. Henry’s descent from the sweet child whose brother was destining to be King to the tyrant he became in his later life is really well documented in The King’s Curse his failures to produce many living heirs, his many wives and a country that drives him to be paranoid about anyone and everyone is clear to see and you have a clear understanding of what drove Henry to lose his way. The tragic ending of the book shows just how far Henry’s paranoia stretched and I’d be surprised if you aren’t reaching for a tissue or calling out in support of Margaret. As with many historical novels they don’t cover all the facts and truths but I find that they are a good starting place to jumpstart further readings to learn the truth. The King’s Curse is well written each character is a good rounded person with their own personalities and the writing flows so easy that you find yourself constantly saying ‘just one more chapter’. 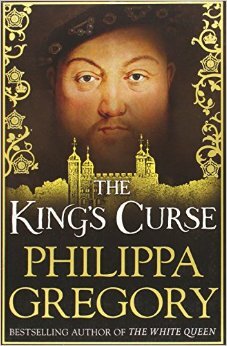 Philippa Gregory once again shows why she is leading the way with historical novels. 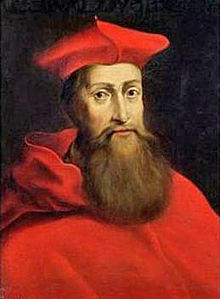 It is widely accepted that Cardinal Reginald Pole was born on 3rd March 1500. He was born in Stourton Castle in Staffordshire to Sir Richard Pole and his wife Margaret. Margaret was the daughter of George, Duke of Clarence, which made Margaret the niece of King Edward IV and Richard III. Therefore Reginald would have had a strong Plantagenet claim to the throne had it not been for the Bill of Attainder that was passed against his grandfather when he was found guilty of treason. Pole studied at Oxford from the age of 12 and completed his degree just after the age of 15. It looks like Pole was always destining for a life within the clergy. Henry VIII bestowed many honours on Pole including the deanery of Wimborne Minister in Dorest, the Prebendary of Salisbury and the Dean of Exeter, despite never being ordained into the church. In 1521, with Henry’s blessing, Pole set off to the University of Padua where he quickly became popular and was highly regarded amongst scholars like Erasmus and Thomas More. Henry paid half of Pole’s fees whilst he was studying abroad. Pole remained in Padua until 1527 when he returned home. Henry at this time was desperate for Pole’s support and his written opinion on ‘The Great Matter’, his divorce with Katherine of Aragon. In exchange for his support Henry offered Pole the role of Archbishop of York or the Diocese of Winchester in return for his loyalty. Pole wanted to avoid being dragged into the situation instead seeked permission to leave for France to further his studying. In effect he went into self imposed exile to avoid answering Henry’s demands. Despite this Henry was still covering Pole’s allowances abroad. In May 1536, Pole eventually spoke out against Henry’s marriage to Anne Boleyn. Henry called Pole back to England to answer questions on his writings. Pole disobeyed Henry’s orders and instead headed to Rome after receiving a Papal invitation to stay at the Vatican from Pope Paul III. This was a blow to Henry as it was clear for all to see that the once close relationship that they shared was over as Pole sided with Rome against Henry and England. Despite never being ordained Pole, in 1537, was created a Cardinal and was charged with organising a march on London to replace Henry’s current government with a Roman Catholic one to bring the country back in line with Rome. In retaliation to Pole’s betrayal Henry arrested members of the Pole family including his brother, nephew and mother, the Countess of Salisbury and charged each of them with treason and aiding Reginald Pole and his cause. All but one was found guilty and Bills of Attainders were passed against them all stripping of their titles and land and eventually they were executed for Pole’s betrayal. Pope Paul III died in 1549 and a conclave was held to find his successor, at one point Pole had nearly two – thirds of the votes required to become Pope, however, Pole didn’t want to campaign to become Pope and so support began to slip away from him. Reginald Pole remained a Cardinal and was quietly dedicated to his work. That is until the death of Edward VI in 1553. With the Catholic Mary I taking the throne Pole’s life was once again an active one. He instantly wrote to the newly anointed Queen and successfully returned to England from exile as Papal Legate in 1554. Under Mary I, Pole saw the attainder against his family reversed and was finally ordained as a Priest in 1556. Two days later on 22nd March Pole was consecrated as the new Archbishop of Canterbury, Pole was the last Roman Catholic to hold this position. Alongside this he also acted as chief minister and advisor to the Queen. Reginald Pole died on 17th Nov 1558, most likely for the influenza which had gripped London in an epidemic. He died just a few short hours after Queen Mary I. He is buried at Canterbury Cathedral.